This is a stunning plant that is very cryptic in form, resembling a small pile of granite pebbles from which amazing winter flowers are produced in a range of colours from yellow through orange to pink. Commonly known as 'living stones', because in their natural habitat they have evolved to mimic the stones and pebbles which often litter the ground where they grow. The reason they have developed this ability to look like stones is as a disguise to hide themselves from predators that would be happy to eat them! Easy to grow, they can make an intriguing plant for all ages being very low-maintenance - simply position on a sunny window sill and water occassionally. 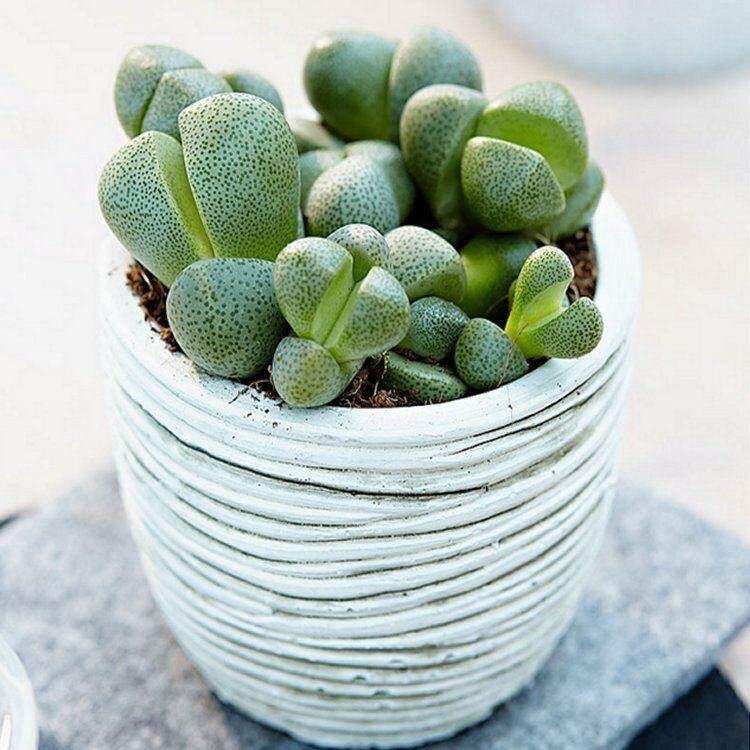 This quirky succulent also looks great in a pot on a patio table in the summer, a real conversation piece. Supplied in approx 5.5cm pots.